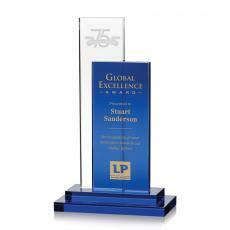 Probably the most popular shape for plaques and award, rectangle trophies have a clean look that offers plenty of room for stylish design and personalization. 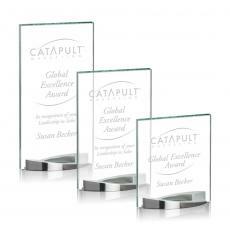 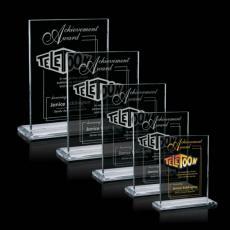 These awards can be tinted in a variety of colors to make them eye-catching. 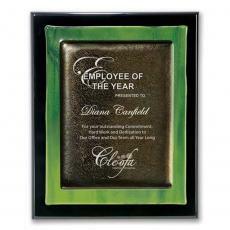 Consider an emerald green colored crystal award for your favorite Irish executive who is celebrating an anniversary. 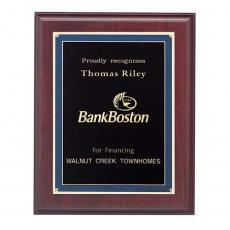 Rectangle recognition awards in wood are highly prized. 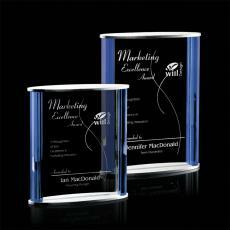 They are elegant, timeless and have an upscale look to them. 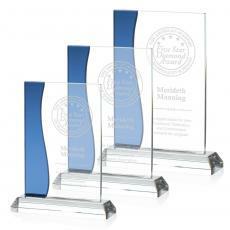 Or consider an acrylic award in a rectangular shape, with the team member’s name, his position and the pennants that his team won over the course of the season. 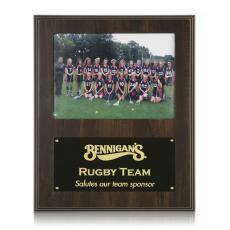 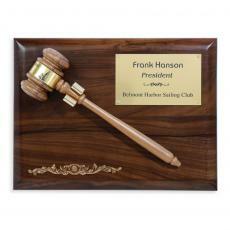 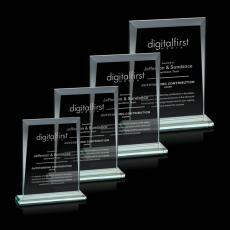 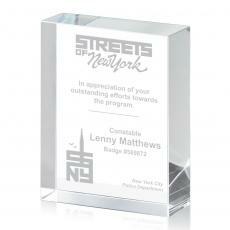 Personalized rectangle awards in crystal are perfect for a club leader or a retiring employee. 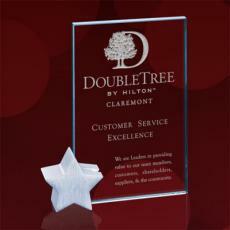 They can have beveled sides that catch the like. 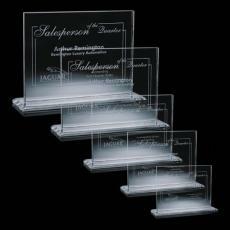 Their spare elegance makes them perfect for a display case or shelf. 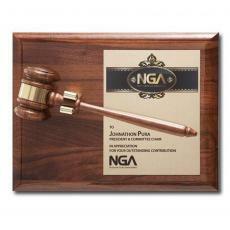 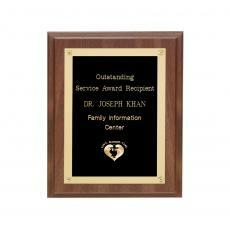 Have the person’s name and the reason for the award laser engraved on the front for all to see. 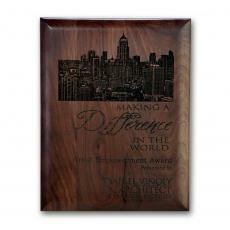 $25 - $35| Sizes: 4"x6", 5"x7" & 6"x8"
$65 - $115| Sizes: 3"x4", 3.75"x5" & 4.5"x6"
$32 - $59| Sizes: 4"x6", 5"x7", 6"x8" & 7"x9"
$95 - $135| Sizes: 6"x6", 7"x7" & 8"x8"
$54 - $120| Sizes: 4"x6", 5"x7", 6"x8", 7"x9" & 8"x10"
$75 - $145| Sizes: 5"x7", 6"x8", 7"x9" & 8"x10"